Any purchases made through our Amazon links help support this blog at no cost to you (you can click here). It's time for some predictions for the new year. 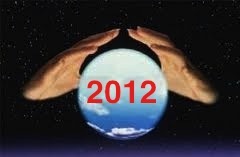 Here's what I see happening in 2012. The good part is that we'll see just how accurate I am on some of them by the end of January after the CES and NAMM shows. For a few others, we'll have to wait awhile. Here we go. 1. Tablets take off for music production. For such a relatively new class of products, tablets like the iPad have quickly become a must-have device. While we've had some great music software available for it in 2011 (Garageband is insanely good for only $5), 2012 brings us the serious I/O and accessories needed to take advantage of it's portability. 2. Plugins hit the wall. When DAWs and plugins were fairly new, pro engineers complained that they didn't sound like or as good as their hardware counterparts. I don't remember exactly when it happened, but it seemed like someone flipped a switch and the pro world not only accepted, but suddenly loved the latest batch of plugins with no reservations. Yes, plugins sound great these days but that's the problem. Where do you go from here? When all the great analog hardware is successfully digitally duplicated by multiple companies (and even surpassed in some cases), it's harder and harder to come up with something new. Add to that the fact that the market is saturated, and you'll see some software companies falling on hard times in 2012. 3. Pro Tools weathers the storm. Computers are really fast these days and Pro Tools can now operate natively and talk to hardware other than Avid's, which is why a chorus of "Why do we need Pro Tools anymore?' began to rise from DAW users everywhere in 2011. I have to admit that my new i7 iMac runs circles around my old HD1 rig for way less money. So while it may seem like this is the time when the Pro Tools hold on the audio industry is finally broken, let's not get too hasty. It's still the standard of the music and post business, and the pros (especially the big facilities) can't afford to make any changes now even if they wanted to (and they don't). If the pros use Pro Tools, than those aspiring to be pros must use it as well. We very well may see a new contender to the throne in 2012, but don't expect any big industry changes. 4. Studios make a comeback. In all the major cities, the number of major studios has dwindled in recent years to just a handful. Even these were just barely hanging on in 2010 and the beginning of 2011. That all changed during the summer, as major studios have been booked solid (and some even ahead a few months) ever since. There are a number of factors as to why this happened (some looser label budgets for one), but a big one is the re-found appreciation of what a real facility brings to the sound of project. There's just nothing like tracking and mixing in a real studio with tuned acoustics, and great mics and signal path. Finally gear owners everywhere are beginning to realize that just owning the gear isn't the key to great sounding music (although it can be if you know how to use it, so keep buying those books, please) and the benefits of recording in a real studio. Look for the trend to continue in 2012 with even some new facilities coming online. 5. SSD's are everywhere. I predicted this last year, but it was a bit premature. In 2012 you'll see the beginning of the end of the spinning mechanical hard drive and the inclusion of solid state memory in just about every newly designed piece of music gear. Add to that the fact that hard drives have actually gone up in price thanks to the recent floods in Thailand while SSDs (solid state drives) have continued to fall, and you'll find that you might have bought your last ever mechanical hard drive. 6. Apple gets into the television business. This isn't directly about music production, but it does apply in a round about way. It's been rumored for a while that Apple will be introducing their own branded television soon, and that seems inevitable at this point. The bigger rumor is the fact that the user interface is every bit as groundbreaking as just about every other Apple hardware or software product. As a result, the digital living room will finally come pass in 2012. Virtually every other product that the company has released has affected music production, from their desktops to the Macbook Pro to the iPod to the iPhone (have you heard some of the music recorded on it?) and iPad. I predict that elements of the user interface of the iTelevision (or whatever it's called) will find it's way into the gear that we use to produce music, making things simpler and easier in the process. And this will happen in 2012. 7. EDM breaks out in a big way. Electronic Dance Music is the biggest trend that the mainstream music world still doesn't know about, but not for long. 2012 will be the year that it finally breaks out, although the process started already in 2011 with the big time success of LMFAO. Let's see how these predictions turn out. I'll have a review at the end of January to see just where we're at. In the meantime, have a happy, artistic, and musical New Year! If you liked these predictions, you might want to check out my 12 music business predictions on my Music 3.0 blog as well. Help support this blog. Any purchases made through our Amazon links help support this website with no cost to you. You should follow me on Twitter for daily news and updates on production and the music business. 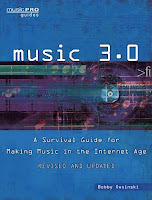 Don't forget to check out my Music 3.0 blog for tips and tricks on navigating social media and the new music business. Anyone who's have had to play a gig outside during the winter knows just what kind of hell that can be. 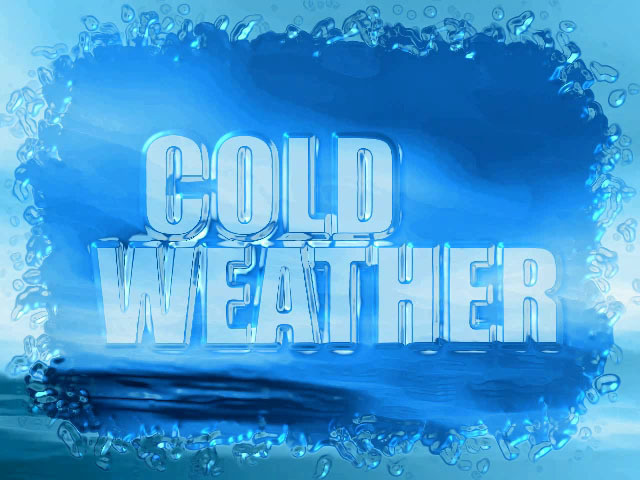 Forget about just being cold, what really makes it bad is when your fingers are freezing and they won't move, or every time you open your mouth to sing you get this huge gulp of icy cold air that dries your vocal chords out. "1) Get to the gig early and let your instruments acclimate to the temperature. Radical shifts in temperature (both up and down) can damage your equipment. So I recommend bringing the instruments in their cases, leaving them on stage IN their cases for a while, and then taking them out. Once they’re out of the cases, don’t play them yet. Give them more time to settle. That direct contact with the air might make them tense up again. Finally, allow yourself enough warm-up time before the performance begins and the crowds arrive so you can play the instrument, tune it, play it, tune it, play it, and tune it. Oh, and if your instrument is your voice, go easy. Warm up slowly, first in the car, then outdoors. Be sure to cool down and load out in the same way. 2) Warm up your amps. The same advice above could be applied to the amplifiers. Let them adjust to the cold. THEN put them on stand-by for a while. Once your guitar is tuned, fire up the amp and let it sing. 3) Wear fingerless gloves (or drummers, where gloves with grip). This may not be possible for every musician, depending on the instrument and style of music you play, but I’ve gotten away with wearing fingerless gloves on a few cold occasions, especially at gigs with limited lead playing, complicated chord comping, or right-hand palm-muting. So if its your typical rock, folk, or pop show,… try fingerless gloves. But try it at practice first! 4) Limit your set time. Don’t get stuck entertaining Jack Frost for 3 hours while the hungover bassist catches hypothermia. I’d say that 30-45 minutes in the cold is more than enough. If the event planner or promoter wants more music, they can hire an additional band and you can work out the backline details together ahead of time. 5) Construct your sets so each player gets some relief. Space out the songs where Sarah’s gotta belt out those high notes. Let a different player carry the lead on the next song. That way, when the spotlight and pressure are on someone else, you can take a minute to tune-up again, warm your hands, whatever else you need to do to keep rockin’." I hope you don't ever have to do a gig where it's freezing, but in the event that you do, remember to use these tips wisely. 1) The end of the mechanical magnetic hard drive. I believe that 2011 will be the tipping point for the decline of the hard drive. In 2010 we saw most computer manufacturers offer solid state drives as options, but what's most telling is the fact that both internal and external hard drive prices are dropping like a rock (you can get a 2G drive for less than 80 bucks right now), which means that the drive manufacturers can see the writing on the wall. Just watch what happens in the new year as people discover the beauty of solid state memory. I missed on this one, but perhaps the prediction was just a bit premature. It's true that solid state drives (SSD's) made a big penetration into the market in 2011, but I think the big growth will actually happen in 2012, thanks to the recent flooding in Thailand which knocked out all of the plants make traditional mechanical drives. Tried to buy a hard drive lately? They're about twice as much as they were, which now makes SSD's a reasonable alternative. The high storage capacities aren't there yet, but it will be all over once that happens, with SSDs in all of our gear forever. 2) The tablet really takes off and becomes the predominant computing device. And speaking of solid state memory, I think the time has come for the whole idea of a tablet as a computer. You know what convinced me? I was watching an episode of vintage Captain Picard Star Trek Next Generation the other night, and tablets played a big, yet subtle role. Everyone had one, they pass them back and forth to each other, and it's such a natural thing to have and use. So many of the most useful gadgets start out as elements of science fiction only to become reality when the technology catches up. Guess what, in the case of the tablet, it finally has. Watch as we leave our laptops behind. I hit a home run on this one. Everyone who owns or uses a tablet computer (especially an iPad) doesn't know how they got along without one. 3) The connected TV will gain traction. I know, it's not looking too good right now, with Samsung's Google television looking like a bust and Apple TV selling well but not setting any records. But hear me out on this. The state of the cable set-top box is still seated so far in the 1990's that I'm honestly surprised that cable subscribers aren't rioting with pitchforks and Molotov cocktails outside the company headquarters. I'm on my fourth piece-of-crap box from "Un-Scientific Atlanta" that works so badly that they should be ashamed to even have it on the market. And the cable companies still treat any kind of interactivity as if it was some sort of science fiction. 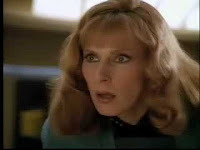 Wait a minute - it was - in 1979!! Believe me, people want their TV's to be connected. Just don't wait on the cable companies to figure it out though (that's a sure recipe for disaster). In 2011, someone (probably Apple) finally will. Okay, this one didn't happen either, and even took a step backwards in 2011. That doesn't mean that TVs won't eventually be connected. All it will take is the rumored Apple Television (the iTV?) to hit the stores and our living rooms will change forever. 4) 3D will have a big impact on the music business. Wait, I can't believe I'm saying that. Up until yesterday I was firmly convinced that 3D was surround sound all over again; basically a parlor trick that would never make it, at least until you didn't need glasses to view it. Yesterday I had my mind opened up, blown, and to put it bluntly, totally changed (how often does that happen?). The whole trick with 3D is that it has to be done technically well (something that doesn't occur that often, it turns out), and the production and post-production methods have to have a totally different approach. Yes, I've seen the future and I'll report more in depth on it as the new year dawns next week. Boy, I was way off with this. I still believe that 3D will be a boon for music as soon as people are exposed to it. The rumored Apple Television is supposedly 3D as is the next iPad, and that might have a big bearing when all this happens. Trust me on this one - 3D will change how we enjoy music! So one prediction came true and the other 3 we'll still have to wait and see about. All in all, it just makes looking forward to our electronic future that much better. I wrote the following a couple of years ago when I first started this blog and had far fewer readers than now, so I thought it might be a good candidate for a repost with the necessary updates. 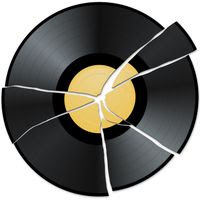 I got to thinking about the many changes that came about in the recording business during the 2000's recently - some of it good, some of it bad, most of it significant. Here are what I consider to be the 12 major changes to recording in the 2000's, in no particular order. 1) Pro Tools Standardization - As the decade started, Pro Tools was already creeping into the major studios, but every year since it has become more and more entrenched as the standard audio capture format for any professional application. Sure, there are a lot of other great DAWs, but none of them have the traction of Pro Tools. In any professional situation, from music to radio to film and television post, this is the DAW that you're going to have to use as we move into 2012 - until something better comes along (no, I don't have a clue what that might be). 2) The Downfall of Commercial Studios - When I moved to Los Angeles in 1980, there were more than 250 "24 track" commercial studios in town. Many of them were multi-room facilities and they all were teaming with business. As we move into 2012, there are fewer commercial studios than ever before thanks to cuts in recording budgets, the ease of setting up a home studio, and the fact that studio rates have remained about the same since the 80's while overhead has risen dramatically. One of the sad byproducts of this is the fact that the apprentice system that existed and taught so many great engineers has pretty much fallen by the wayside. With only a few commercial studios left, it's only the lucky few that get to sit behind a great engineer and learn something new every day. That's good for me since more people buy my books, but it's not a great thing for the industry at large. 3) The Rise of Software and Fall of Hardware - Once upon a time, every studio needed a pretty good amount of outboard gear to be able to record and, especially, mix a record. It would be nothing for a studio to spend in excess of $100k for outboard EQ's, compressors, effects devices and reverbs that they absolutely needed to have in order to attract independent engineers and producers and make a competitive record. During the 2000's we saw a shift away from outboard hardware boxes to software plugins that do the same thing, only cheaper and easier. At the beginning of the decade, most pro engineers complained about "the sound" of plugins that emulated their favorite outboard device, and for the most part, they were right. Plugins didn't quite measure up. Now that major computer horsepower is so inexpensive and programmers are better at what they do, the difference in sound quality between the plugin and the real thing is no longer an issue even with the old-schoolers. One of the big reasons why software plugs have caught on is price. Why buy a rack of Neve 1073's at $2500 a piece when you can buy a Universal Audio UAD card that can give you a hundred of them for half the price of just one? Sure, you don't get the mic preamp and and you can't track with them, but if you don't record more than a couple channels at a time anyway, it's hardly a problem. Even in live sound there's been a shift as the industry changes to a digital signal path. There'll always be a market for outboard gear, especially for tracking, but the days of large expenditures for hardware are over. 4) The Fall Of Rental Companies - It used to be that renting gear was one of the secret cash-cows of the business. Every town had at least one major rental company (New York, LA and Nashville had 4 or 5) and many engineers and producers made extra dough on their projects by renting their pricier gear back as an extra. Thanks to the rise in software plugins, the need for that expensive hardware has dropped drastically. And even when it is rented, the length of the sessions have decreased to such a degree that what used to be a three or four week rental might now take only three or four days. As a result, a lot of the major rental companies have either gone under or cut back drastically, the minor ones don't exist anymore, and it's rare that an engineer will even think about renting the gear back to a project as he's just thankful for the job. 5) Mixing In The Box (Who Needs A Recording Console?) - As the 2000's came around the corner, you would never even consider doing a project without a recording console, and for sure, you'd never open a studio unless you had a Neve, SSL, API or the like. Today, vintage recording consoles that regularly went for $250k plus and didn't depreciate much can now be had for $50k or less with the seller feeling extremely pleased that he even found a buyer. With so little tracking with live musicians being done these days (see Loop-based Music) and the increased power of the DAW, why buy a recording console at all? DAW's offer so many features these days that a competent engineer can make a great sounding record in a way that couldn't be done in 2000. The sound is good, the plug-ins are great and plentiful, the automation and recall are better than on any console, you're no longer limited to a certain size control room by the size of a desk, and inexpensive controllers are plentiful. It's no wonder that even the old-schoolers have finally acquiesced to "mixing in the box." 6) Less Money Going Around - As everyone knows, CD sales are way, way down and as a result, so are recording budgets. Where once a $100k budget was considered bottom of the barrel and budgets for even non-superstar acts were beyond $500k, we now live in a world of $40 and 50k budgets or less. No money - no big studio, no rentals, no hardware purchases. It's all tied together. Superstar acts still get a blank check, but there are fewer and fewer of them. The future of the recording budget is here - get used to $40k or less. 7) Sample and Loop-based Music - Once upon a time, all music started with real musicians tracked live. That all changed during the 2000's. Programs like Acid and Ableton Live made it easy to make some great music without ever seeing a real musician. Loop libraries gave you access to just about every kind of sound and mood that you could think of, and samples of every type of instrument became more realistic. Suddenly, you didn't need a studio, you didn't need a tracking room, you didn't need a player - all you needed was a laptop, some software and a set of headphones. Television and film composers no longer needed an orchestra, keyboard players could record great guitar and bass parts without the players, and no one needed a drummer if you had BFD, Steven Slate Drums, or a similar program. It changed the music world, although not so much for the better, I'm afraid. 8) The Rise of Alternative Markets - Some markets thrived since 2000. The church market became a saviour for many audio gear companies as churches installed bigger and better sound systems, recorded their services and even broadcast them on television or the web. The sound system install market flourished as commercial building projects popped up everywhere. While this was truly a bright spot for many companies in recent years, the recession brought these markets to a resounding halt. Market saturation may mean that the worse may be yet to come, unfortunately. 9) The Rise of the Home Studio - It's now possible to have a studio on your laptop that's much more powerful than anything The Beatles ever had to work with for less than a thousand dollars. Home recording is within reach of anyone that wants to do it, and everybody does. This has been both good and bad. 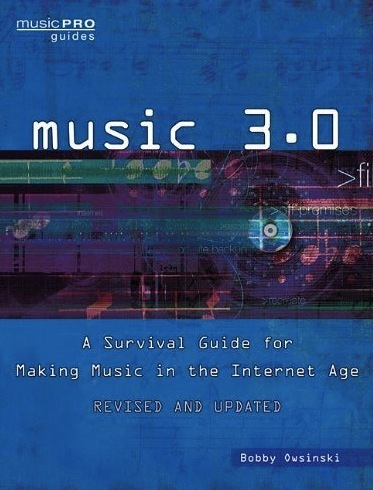 It's brought about Music 3.0, where an artist is no longer bound by the marketing, distribution and sales system of the record labels, but the filter that the label provided and the help of the many professionals along the way had it's advantages too. Just because you have your own studio doesn't mean you know how to use it. As a result, we have fewer real professionals than ever before who are making less money than ever before - and more and more people making their own music at home. It hasn't resulted in better music so far. 10) The Influx of Chinese Gear - Audio and music gear is better than ever before on average. It's really difficult to find what would be considered a "bad" piece of gear these days (I remember the old Kent guitars with the bowed necks when I was growing up - those were bad), and it's cheaper than ever as well, all thanks to those hard-working Chinese/Vietnamese/Cambodian near slave-laborers. Just about every gear company does the same thing these days - design the piece here, manufacture it in Asia, and sell it as cheaply as possible against a dozen other manufacturers with the same product and idea. The problem is that while all the gear is good, not much of it is really great. That's why we have more boutique gear manufacturers than ever. I wonder how they all survive? 11) The Failure of the Hi-Res Formats - In the beginning of the 2000's, the great hope for the industry and audio pros alike was the hi-res SACD and DVD-A formats. The trouble was, the public looked at these formats and yawned. It's difficult to hear hi-quality audio when your sound system is worse than what you could find in the typical college dorm room in 1970. Bad presentation, bad marketing, and no consumer interest all equal format death. 12) Change in Consumer Buying Habits - We all know this one. CD sales down, digital sales up, piracy still high, not as much money coming in. It's the reason for most of the items on this list and is covered every day on my Music 3.0 blog. If this sounds like I'm complaining, you misread my intentions. I'm just noting how the music/recording business is evolving. In fact, I'm excited by the future, something I'll expound on later this week. The Making Of Pink Floyd's "Money"
1) Old fashioned tape loops. Yes, in the days before digital, this is how it was done (I get nostalgic looking at the MCI 4 track). 2) Track layering. You can plainly hear how there's usually a lot more going on in a record than what seems apparent. The numerous guitar tracks are a great example here. 3) The use of of effects. Effects are used to place a track in an artificial acoustic space and you especially can hear how it works very well here when Alan Parsons (the engineer for the session) adds the effects in on the vocals, then cuts them off during the bridge. 1) In early decades, hits tended to be harmonically simpler than non-hits. However, nowadays the opposite is true. 2) Around 1980 seems to be a creative period in pop music. 3) Dance songs were more popular in the 1980s. 4) Music of all qualities are getting louder. That last one seems to be stating the obvious. I'm not sure that I agree with first three. The site, called scoreahit.com, has a section on Expected Hits (Gnarls Barkley's "Crazy"), Unexpected Hits (Alicia Key's "Empire State Of Mind"), Hidden Gems (Sheryl Crow's "First Cut Is The Deepest"), and they even go as far as to make predictions on current songs. If you ask me, this is fools gold. Even if it were possible to predict a hit, it still is working with last week's (month's, year's, decade's) data. By the time you determine what works, the public (fickle as we are) has moved on. The only thing different between using math to predict a hit and the record labels following jumping on a trend is the time lag. You can only follow a trend, you can't make one this way. Check scoreahit.com out and let me know what you think. Have a great holiday.! You've got to rock pretty hard to make the ground shake, and apparently Dave Grohl's Foo Fighters know just how to do it. 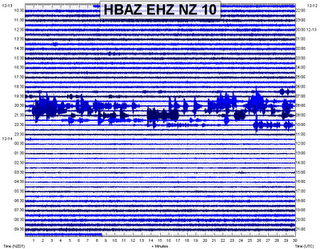 According to New Zealand's GeoNet blog, two seismic stations outside of Auckland's Western Springs Stadium recorded geological tremors that were consistent with that of volcanic activity caused by the Foos’ Dec. 13 show. Strong low frequency of tremors were detected at the time of the show, and correlated specifically with the highs and lows of the performance (see the graph on the left). “The first vibrations were recorded around 7:30pm, part way through the Tenacious D set, but the biggest shakes started at 8:20pm when the Foo Fighters took the stage, and then it all went quiet at 11pm when the gig ended,” Geonet states. This just goes to show the kind of energy that comes from 50,000 fans. Is it any wonder that musicians can't get enough of it? The Foos are also up for six Grammy Awards this year, including Album of the Year for Wasting Light, as well as best rock performance and best rock song for “Walk.” A little bit of that seismic energy would go nicely at the ceremony. 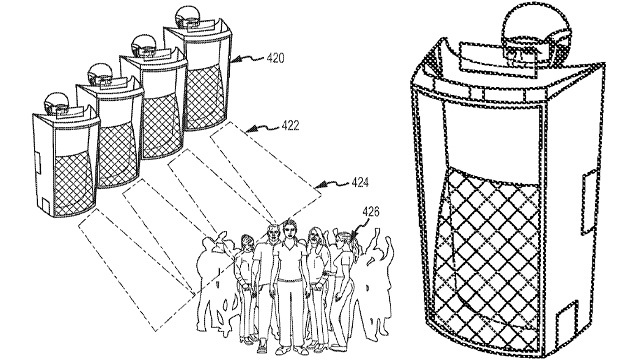 For those of you who've considered using your music as a weapon at one time or another (I know you're out there), now comes a patent from Raytheon for a new type of riot shield that generates extremely loud pulses to disrupt the respiratory tract and hinder the breathing of the Occupy Wall Street crowd. The shield has a heads-up display that allows the operator to set it to warn, stun or incapacitate. 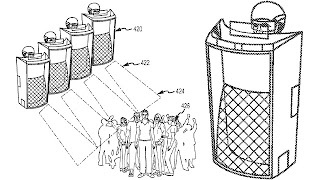 The patent points out that the sound waves being generated are actually not that powerful, so while protestors might collapse from a lack of oxygen reaching their brains, their eardrums won't be damaged in the process. Of course, since this is the age of communication, shields can even be networked to fire as one, so there goes the "not that powerful" argument. Essentially the shield is a folded acoustic horn that focuses a tunable 500 to 5kHz pluses singly or in multiples. No word on how much these may cost (a lot, I suspect), how much they'll weigh, or if you'll have to enroll in the Darth Vader School of Policing to operate one. You can read the patent for yourself here. In the meantime, rejoice in the fact that we only have to deal with traditional riot shields during peaceful protests for now. Many younger musicians haven't had a mentor to teach them the ropes of the business, and as a result, their professional demeanor can be lacking. In this excerpt from How To Make Your Band Sound Great (the band improvement book), I describe just what the term "professional" really means. "In the strictest sense of the word, a “professional” is be someone who makes his living only playing music. But whether that describes you or you’re a ways away from that, what you really need is to have a professional’s attitude in order to get ahead both on a personal level and with your band. Let’s take a look at the qualities of a professional attitude. is always on time. Time is money and a pro is not only on time, but usually early (as illustrated in many other chapters of this book). If he’s delayed and won’t arrive at the agreed time, he calls ahead to make sure that everyone is aware, then gives his best estimate when he’ll arrive. is always open to ideas. Instead of arguing about the value of an idea, a pro simply says, “I haven’t tried that before, but I’m really interest to hear what it sounds like!” No idea is too crazy to at least consider, because you never know when something that you initially thought was too far out is actually the perfect solution to a problem or addition to a song. is focused only on the music. When a pro is at a rehearsal, gig or recording session, he’s 100% there and in the moment and focused on giving the best performance she can. He’s not thinking about his girlfriend, paying the bills, or the after-gig party. All his concentration if on the music. takes responsibility for his mistakes. A pro immediately owns up to any mistake, oversight, error or blunder and says, “Sorry, it was my fault,” and accepts the consequences. never parties on the job. As stated back a little bit, a pro is 100% focused on the music at hand. While a few beers might not constitute a party, it certainly doesn’t help you play better during a rehearsal or gig if your mind isn’t all there. There’s plenty of time to party later so save it until then. treats his band mates with respect. A pro treats his fellow musicians as equals and peers and would never intentionally do or say anything to disrespect any of them. treats his road crew, engineers, light man and everyone working for the band with respect. A pro understands that all the people around him are working to make him sound and look better and they deserve to be treated respectfully as well. treats his audience with respect. A pro understands that he’s there to entertain the audience and without them he’d be playing at home in his bedroom. If you assume a professional attitude by following the above points, you’ll find that the respect for you will grow, any interpersonal tensions will ease, and band life will suddenly go a lot smoother. You can read some additional excerpts from How To Make Your Band Sound Great as well as my other books on the excerpts page of my website. Do you think you know what the opening chord to The Beatles song "A Hard Day's Night" is? I did. I thought for sure that it was an F9, or an F chord with a G on top. But there's a lot more to it than that. In this video we have the legendary guitarist for The Guess Who and Bachman Turner Overdrive, Randy Bachman, describe that first chord, thanks to Giles Martin (son of Beatles producer George) being kind enough to play him the multitrack source so he could dissect it. Twitter follower Frick Franklin requested a song analysis via Twitter. This time it's Aerosmith's breakthrough hit "Dream On" from their first album appropriately entitled Aerosmith. As the story was told to me by the album's producer Adrian Barber, Aerosmith did almost nothing in sales the first year it was released except for a single station in Baltimore. Airplay on only one station wasn't enough to get their record label (Columbia Record) interested in spending any promotion dollars (they were pushing Bruce Springsteen at the time), until the song was named #1 Song of the Year by the station's fans. The rest, as they say, is history. As with all song analysis, we'll look at the song form, the arrangement, the sound, and the production. Obviously this is not a song written by a formula, since the chorus takes so long before it's introduced (at about 2:05) and the bridge is the only section that actually contains the title of the song ("Dream On"). What's more, just about each section is a different length. The first verse has 12 bars while the 2nd verse has 8. The second interlude has the same motif as the intro, but is played in the major instead of a minor and is 7 bars long! Then we have the bridge (the high point in most songs) at 14 bars and the out chorus at 10. This is a highly unusual song form indeed. The melody and lyrics of the song very strong, and these sell the song to the casual listener who doesn't take much notice to the music probably more than anything else. "Dream On" features a straight ahead 5 piece rock band, with almost no sweetening. About the only thing that changes during the song is the sound of the keyboard and the addition of the Mellotron in the intro and interludes. * The Rhythm: This is different from most songs in that it's provided by the picking guitars and keyboards in the intro, verse and interludes. "Dream On" was recorded on 16 track at Intermedia Sound in Boston, a studio that I worked at a lot during my days there. The song is recorded very basically, but that was the style of Adrian Barber, who cut his teeth on some big records by Cream, The Rascals and Velvet Underground during his time as a staff engineer at Atlantic Records. All of the instruments are pretty dry and in your face except for the vocal, which has a very pronounced delayed plate reverb. This sounds like the approximately 120 millisecond predelay that comes when using a tape machine set to 7 1/2 ips in the send path to the reverb. There are also a couple of bad breath pops from the lead vocal during the verses at :54 and 1:44 that are left in. One of the cooler aspects of this record is the wide stereo field, with the guitars panned pretty hard to both sides, the keyboard on the left and the Mellotron up the middle. Speaking of keyboards, I'm not sure what they used but it sounds like one of the very early all-purpose synths of the time, with the very cheap piano emulation that sounds like a harpsichord on the intro, the organ sound at the end, and the highly modulated synth sound on the right side during the fade out (you need headphones to hear it). I studied under producer/engineer Adrian Barber for about 3 months in the late 70's and he was quite a character with very seat of the pants in his approach. To some degree you can hear that in "Dream On." None of the instrument entrances to the sections are clean, with certain instruments (mostly the guitars) jumping out ahead. The lead vocal falls out of the pocket for a second due to a late entrance at 1:58. All this was left in, yet it never hindered our enjoyment of the song, which goes to prove that production perfection doesn't exactly mean you'll have a hit. There are a number of excellent production aspects though. The rhythm section of drummer Joey Kramer and bassist Tom Hamilton is particularly simple and strong. The drums are especially solid and disciplined, unusually so for a young player. The interplay between the guitars is also wonderful and well thought out. Joe Perry and Brad Whitford continue that exceptional interplay to this day. Make no mistake, that's not easy, and you'll find some great guitar players that can never get the hang of this. As with most hits, "Dream On" is unique in so many ways and still holds up well today. It has a number of flaws, which makes you love it all the more. Don't forget to send me you song requests for analysis. I recently read Chic guitarist/producer extraordinaire Nile Rogers' book, Le Freak: An Upside Story Of Family, Disco, And Destiny, and came away plenty impressed with what Nile overcame to rise to become one of the the top hitmaker's in the world. I think I liked Keith Richards' Life a little better as far as the amount of juicy stories, but Nile's book really looks into an era of music that isn't talked about much (meaning the "Disco" era). Regardless whether you like the music of Chic (I personally do), there's no denying that Rogers had a huge impact on the world of popular music as a producer. One area that Nile really knows is funk, and in the following video, he gives probably the best lessons I've ever seen on what is funky and what isn't in terms of playing. This should be a must see for every guitar player, regardless of if you play in the genre or not. It's that time of year again when it's time to buy some gifts. It you're in a quandary about what to buy for that musician or recording engineer in your life, you're in luck. I have a list of recommendations that covers a variety of items and price ranges. Most of these products I use regularly. I personally never go into a loud audio situation without these little gems. They are soooo much better than foam or wax earplugs in that they cut the level down without affecting the frequency response. Since I found the Etymotic Ear Plugs I feel absolutely naked and scared when I don't have them on me. At less than $10, you just can't go wrong. Ariel is the queen of Cyber PR and her roadmap book is essential reading if you're an artist and new to the ways of Facebook and Twitter. If you're going to learn, do it from the best. She's also offering a holiday special for $20! It's shocking how good these phones are for about $22. 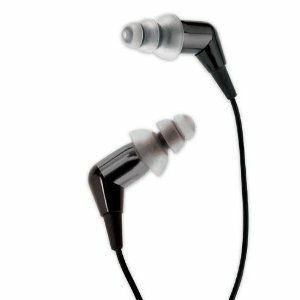 They're pretty comfortable, have a really tight fit, and provide a surprisingly balanced sound. In fact, I would trust the low end on the 8323's more than on a couple alternatives that I have that cost 4 or 5 times more. 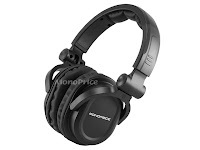 Don't let the "DJ-style" in the description scare you, these are terrific for the price. Okay, so I'm a little biased, but if you're looking for a book for someone in the music business, you'll hopefully find one of mine that will hit the sweet spot. 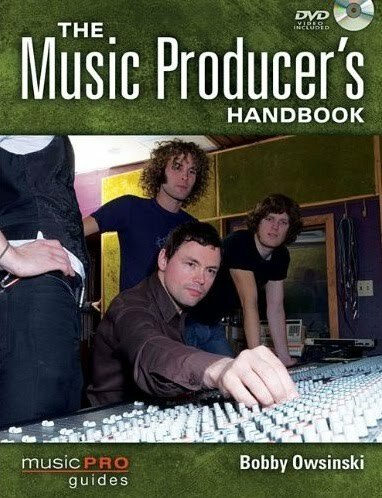 There's something for everyone, including books on mixing, recording, recording drums, mastering, being a studio musician or a touring musician, improving your band, producing, navigating the new music business (the newly released second edition of Music 3.0), studio building, guitar tone, and making videos. From about $16 to $30. 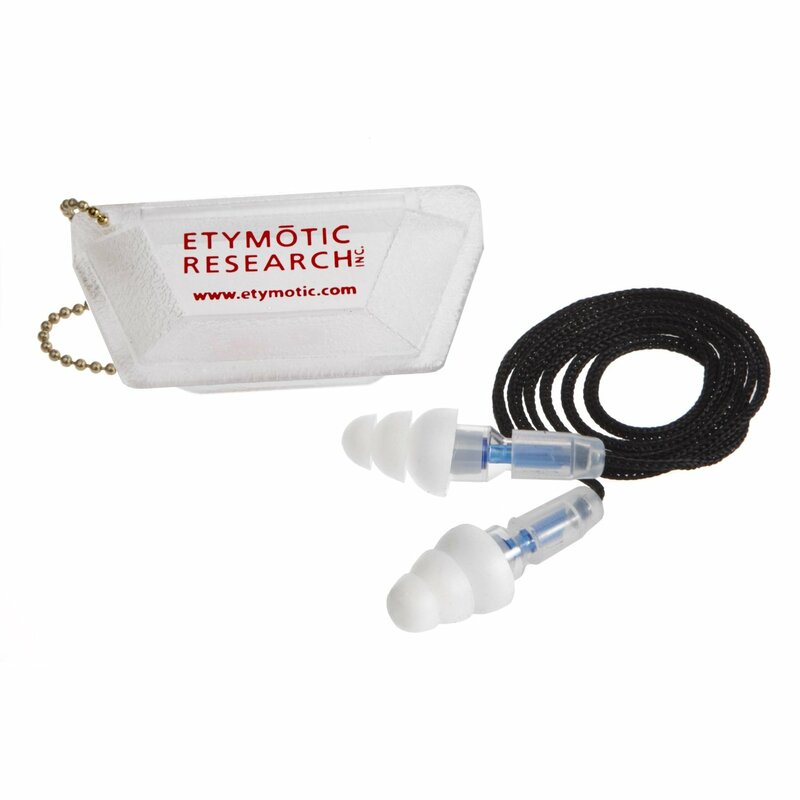 Etymotic makes a lot of really great earphone products, but I especially love these MC5's for listening to my iPad or computer on trips. They totally seal out everything around you, which is great for eliminating that plane noise on a long trip. Plus, they're a huge upgrade over the standard Apple earbuds (which aren't even in the same league). They're about 60 bucks, and well worth it. Granted, this is a little geeky, but a total boon to the hard working person on a DAW. Raw hard drives are so much cheaper than buying them already in the cases, but how to connect them? 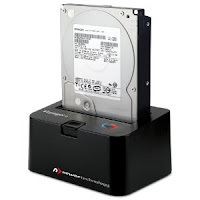 Use a drive dock, that's how. This version of the Voyager is the one I use every day. It allows you to hot-swap drives and connects to the computer via Firewire 400 and 800. eSATA, and USB 3, so you won't have any hiccups editing video or that project with 100 96k/24 bit tracks. It's about $75. Everybody wants big bang for the buck and you can't get a bigger bang than the products from FMR, especially their Really Nice Compressor. 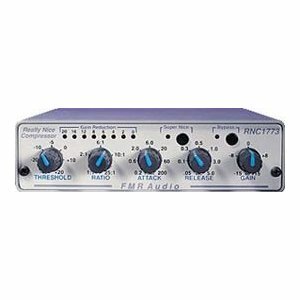 The RNC provides excellent high-quality compression complete with a special "Super Nice" mode that chains multiple compressors together internally for an especially smooth sound. At $175, it can't be beat. 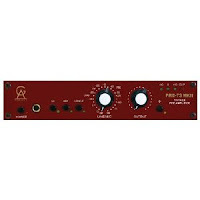 While you're at it, buy one of their Really Nice Preamps as well, a great sounding preamp for an amazing price. Don't get me wrong, it's usually not a good idea to master your own stuff, but on those occasions where you must, T-RackS is the way to go. I especially like the fact that it can be used as a stand alone desktop app. It has a great metering package and a wide range of EQ and compressor options. A word of caution, it's best to stay away from the EQ if you're mastering yourself, but T-RackS is a great way to do one of the main jobs of a mastering engineer - setting all of your songs to the same relative level. 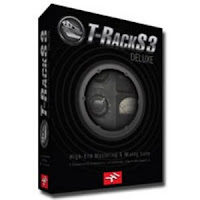 You can purchase T-RackS 3 for $249. While you're at it, pick up a copy of the T-RackS official guide (written by yours truly) for some mastering tips and tricks. Everybody wants a Neve preamp but a lot of us can't spring for a couple of channels of 1073s. The Golden Age Project Pre-73 was built to sound a lot like the 1073 and it does a pretty good job of it. It's not the real thing, but for only $350 it's surprising how close it gets. There's now a number of cheap ribbon mics on the market, but let's face it, they sound like crap compared to the real deal like a Royer R-121 or a vintage RCA DX-44. 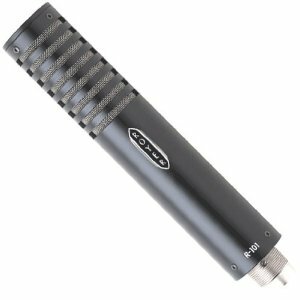 Now you can own a great ribbon mic for a reasonable price thanks to Royer's new R-101. It's about 40% cheaper than it's big brother and just the thing for recording electric guitars and horns of all type. Plus, it's a real Royer. That's it for this year. Hopefully there's a little something in the price range you're looking for. I probably could have written about 10 more gift ideas, but I think I'll save them for next year. In the meantime, don't you deserve a present too? OK, this is not a joke. 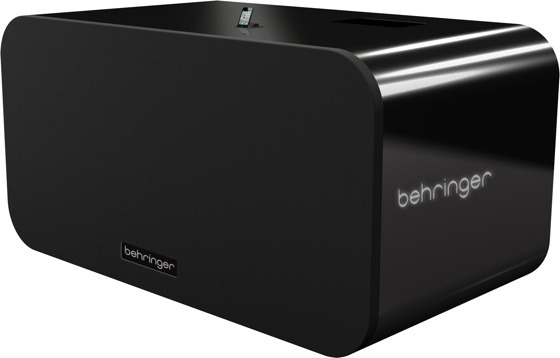 Apparently musical instrument and semi-pro audio manufacturer Behringer will be launching the world's loudest -- and largest -- iPhone dock. The iNuke Boom is a real product and is 4 feet tall, 8 feet wide, weighs 700 pounds, and retails for $29,999 (that means you should be able to get it for about a hundred bucks at Guitar Center ;). The iNuke will be at Behringer's booth at CES 2012 to promote its new Eurosound line of consumer products, which will be introduced at the show. I wonder if they'll all be as expensive as the iNuke? Behringer's products are known more for their inexpensive nature than their sound quality, so there's not a lot of hope for a breakthrough product here, but you've got to admire their audacity. Let's see, low quality MP3's coupled with low quality Chinese audio gear. Sounds like they're made for each other. I'd venture to say that most musicians in the United States aren't in the musician's union The reason why is if you're still playing clubs, the union doesn't have much to offer for the dues you pay. That all changes when you're working on a union gig for record label or a symphony, where the union guarantees a reasonable wage rate and demands that your employer contributes to the union pension fund. But what if you're a producer who wants to hire a union player? You can't simply say, "I'll give you $75 to play the session." Things don't work like that once you've crossed the realm into union territory. 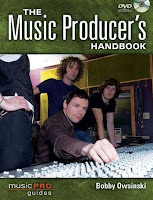 Here's an excerpt from The Music Producer's Handbook that explains how it all works. "As you saw in figure 4.1, it costs a lot more money to hire musicians that work under the American Federation of Musicians (AFM) union rules than ones who don’t. Not only is the pay generally higher for working a shorter session than non-union players, but you also have additional costs that go beyond what the player gets directly, which we’ll cover in a bit. What’s more, union rates can be somewhat of a maze since different scales cover different situations, rates are renegotiated every few years, and pay scales vary from union local to union local (not that much, but they do vary). Demo Scale - This means that whatever the musicians play on is only used to secure a master record deal and can’t be sold commercially. This is the least expensive (to the producer) of all the scales. Demo scale is a relic from a time when demos were a necessity to take your project to a higher level in the business, and even though it’s still on the books, this scale is outdated since any recording is so easy to release commercially. Limited Pressing Scale - Another relic of the past thanks to digital music, the limited pressing scale allows the producer or label to make and sell up to 10,000 copies of anything the musicians play on. The limited pressing scale pays a bit more than the demo scale. Low Budget Scale - The low budget scale was originally created to help small indie record labels who never had the large recording budgets that were typical of a major label product. The key here is that the budget needs to be submitted to the union for approval in advance before you can play on it, but the label can sell as many copies of the product as they can. Master Recording Scale - This is the scale used to pay musicians to record a typical medium or big budget master recording for a major record label. It’s the highest paying scale with the most perks. Jingle Scale - The jingle scale is a little different in that most jingle (commercial music) sessions are so short that everything is based upon a single hour pay with 20 minute increments. The number of jingles that can be recorded in that time period is limited to 3 (or 3 minutes of music), or else you must pay the musicians for another session. The musicians also get payed again for every 13 week run that the commercial stays on air (but it doesn’t come out of your budget). The musicians also get paid again if the producer takes the music bed that you played on and creates an additional commercial (called a dub fee) or a new commercial (called a conversion fee). Motion Picture and Film Scales - This is a dizzying array of scales for orchestral recordings that vary depending upon the size of the orchestra and budget, and whether the performance is a “buy-out” (you only get paid once for the original performance) or if you’ll get paid for subsequent performances. There are other fees that must be paid under certain circumstances on a union date. • The leader is always entitled to twice the scale rate regardless of what kind of session and which rate scale you’re using. • If a musician doubles on a second instrument during the session, he will make an additional 20-30% (depending on the type of session and scale), and an extra 15-20% for each additional instrument played. • And in some cases, he may even get an additional payment for cartage of large instruments like $12 for cello, baritone sax, bass sax, contra-bass clarinet, tuba, drums, marimba, chimes, accordion, Cordovox, and each amplifier, and $30 for harp, keyboard, tympani, vibraphone, and bass. • Besides the hourly scale amount, the producer will also contribute another 12% or so to the musician’s union pension fund, an additional 3% to his health and welfare fund, and in some cases, 4% more to a vacation fund. As stated before, the scales and rates are subject to change every few years, so it’s best to check with your union local to find out exactly what those rates are today. This section is only just a thumbnail of the detail as well, so check for all the particulars that might apply to your specific session well in advance of the downbeat, and make sure that the session leader or contractor (who files the paperwork) is on the same page as you. The best way to ensure that you get exactly the players you want, stay within the confines of the union, and have all the paperwork filed, is to hire a union contractor who will put the appropriate players together for you. If you need a horn or string section, a single call to a contractor will get you the players you need, instead of having to assemble the section yourself (which can be hit or miss as to the quality of players if you’re not familiar with them). The contractor acts as a go-between for musicians and producers, and is required to be present at all times during the session when his contracted musicians are recording. Contractors come in two varieties: union and independent. Both are usually musicians themselves who supervise and provide additional services for a session. A Contractor can help musicians and singers prepare by supplying them with the necessary information for the session, and making sure that they and their specified instruments and equipment arrive at the event or session on time. He coordinates the event, coaches, conducts, computes session fees, and submits the proper union forms (if it’s a union date) to the employer and union office. It is not uncommon for contractors to specialize in a specific area of the business like jingles, orchestral dates, or film/television sessions. For a contractor, it’s all about relationships. His or her reputation is founded on the experience level and quality of the musicians he or she makes available, so it really makes sense to cultivate relationships with the local contractors." You can read more excerpts from my books here. Reader Jimmy Keenen requested a song analysis of the Black Key's "Tighten Up," so here it is. The song is from their 2010 Brothers album and has been featured on a variety of television shows and commercials. Like all song analysis, we'll look at the song form, the arrangement, the sound and the production. You'd think with a song that only has a vocal on the verses and only two sections that repeat that the song would be boring, but it's not, and a lot of that has to do with arrangement. The fact that each chorus is played differently with a different length, along with an odd bar or two thrown in for good measure before and after the choruses, and you have the formula for keeping the listeners attention. Although the form of "Tighten Up" might be a bit unique, the arrangement follows a more traditional pop technique of adding instruments as the song goes along to develop the dynamics and keep the interest level high. On the second verse a guitar line enters to make it different from the first. A bar of quarter note bass is added at the end just before the chorus. Not only is the form of the second chorus different, but you have two guitars playing the octave melody line on the right side and a guitar playing a much more active chordal figure on the left. The third verse is back to the basics while the last verse has the organ playing a pad. The drum pattern is pretty different and not what you'd expect, which is why it works so well. The sound of this record is as interesting as the form and arrangement. The tambourine that plays through most of the song and establishes the rhythm is lightly flanged, while the drums are pretty much dry and in your face. The synth bass is all low end and doesn't come across on small speakers as a result, but it's not meant to, as it fits the song exactly how it sounds. The vocals are slightly distorted on the first half of the song and have a bit of a room reverb with a very slight delay double. The guitars all lay nicely together as they have different sounds and are panned away from each other (except for the lead line that's doubled with an octave higher guitar), while the guitar riff at the end of the song is modulated with a flange or resonator. The song was produced by Danger Mouse (Brian Joseph) and it's a very cool marriage of hi and lo tech. To me, the arrangement is a thing of brilliance. I love how the choruses change, with the melody line basically stuttered. I love the odd bar thrown in between verses and choruses. These are the things that make music interesting and unique. It might not seem it on the surface, but "Tighten Up" is a great lesson in production. Send me your song analysis requests! The Story Of "My Sharona"
Remember the song "My Sharona?" The hit song from 1979 by The Knack has been played around the world virtually every day since to the point where everyone, regardless of age, knows the song. Ever wonder who Sharona is or what the song is about? My friend Ralph Simon relates the story in this video. He should know. He was the executive vice-president of Capital Records during the time when The Knack reigned over the charts. He has since gone on to become one of the founders of the mobile entertainment industry (some consider him the father of the ring-tone business) and named one of the world's top 50 executives by Mobile Entertainment magazine. We always think of audio as strictly a function of one of our senses, but as many of us know, there's more to it than that. When we can feel the vibrations from bass frequencies we intuitively believe that the sound is much more powerful than when we can't feel it. But perhaps there's more to it than that. A movie called Touch the Sound, produced by German director Thomas Riedelsheimer in 2004, focuses on the work and world of nearly-deaf percussionist Evelyn Glennie. Not only can she play, but she's world-class! Below is a trailer for the movie, which you can see in its entirety on Hulu. Thanks for PR maven Marsha Vdovin for the heads-up on this great piece. Gibson Guitar has announced in a press release that they’re acquiring the Stanton Group, which includes the well-known Stanton DJ brand, KRK monitors, and Cerwin-Vega loudspeakers. Gibson already has acquired Epiphone, Dobro, Kramer, Steinberger, Tobias, Echoplex, Electar, Flatiron, Slingerland, Valley Arts, Maestro, Oberheim, Baldwin, Sunshine Piano, Take Anywhere Technology, J&C Fischer, Chickering, Hamilton, and Wurlitzer. So aside from Epiphone, when was the last time you hear anything from most of those products? What's most interesting about the announcement is that Gibson calls this move is “part of its continued expansion as a lifestyle brand.” I guess my question is, "How does Stanton fit into that vision?" I understand that Gibson CEO Henry Juszkiewicz would like to be more like Apple, but buying a group that features DJ and speaker products isn't exactly a great start in that direction. Plus, with Gibson's track record of instantly burying a company as soon as they buy it, it seems like a moot point anyway. It would be great if Gibson would just concentrate on the thing they do best, making guitars, but they're not doing so hot on that front either. The robot guitar, digital guitar and Firebird X all had the industry and players alike scratching their heads. One again, it seems like market share and acquisitions mean more to the Gibson powers-that-be than increasing efficiencies on its core product and making better instruments. As outlined in my article about Warner Music Group on my Music 3.0 blog today, music and big money usually don't mix. You have to make a profit to stay in business, but the turning point is when the business becomes more about money than music, and that leads to trouble. So say goodbye to the Stanton Group - Stanton DJ, KRK and Cerwin-Vega. It's only a matter of time before they disappear. For anyone who ever met him, Ronnie James Dio was not only a great singer, but a wonderful gentleman with a huge heart as well. We all still feel his loss and miss him. Here's an example of Ronnie's great voice on an isolated vocal track from his hit "Rainbow In The Dark" off of his 1983 Holy Diver album. This sounds to be either the center channel from a 5.1 mix or a center channel phase extraction, which actually can be a better learning tool than if it were off the multitrack. During the solo section you can hear the guitar solo enter, which is why a tell-tale sign that it's not directly from the multitrack. 1) Ronnie's voice is pretty compressed, but this is something that he really needs since he had such a dynamic voice. 2) There's a good bit of a medium long plate reverb on his vocal. It doesn't sound like it's delayed. 3) He doubles the B section of the verse and then breaks into the harmony on the hook of the song. Some of the harmonies have different releases form the lead phrasing, which we probably wouldn't let pass today. That said, it never bothered me before when I listened to the song. 4) You can hear a punch out at the end of the high section vocal section of verse two. Bobby Owsinski is a producer/engineer, author and coach. 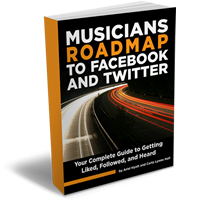 He has authored 23 books on recording, music, the music business and social media. The Big Picture Music Production Blog features a new post every weekday. Copyright 2009-2016 Bobby Owsinski Media Group. All rights reserved.. Awesome Inc. theme. Powered by Blogger.